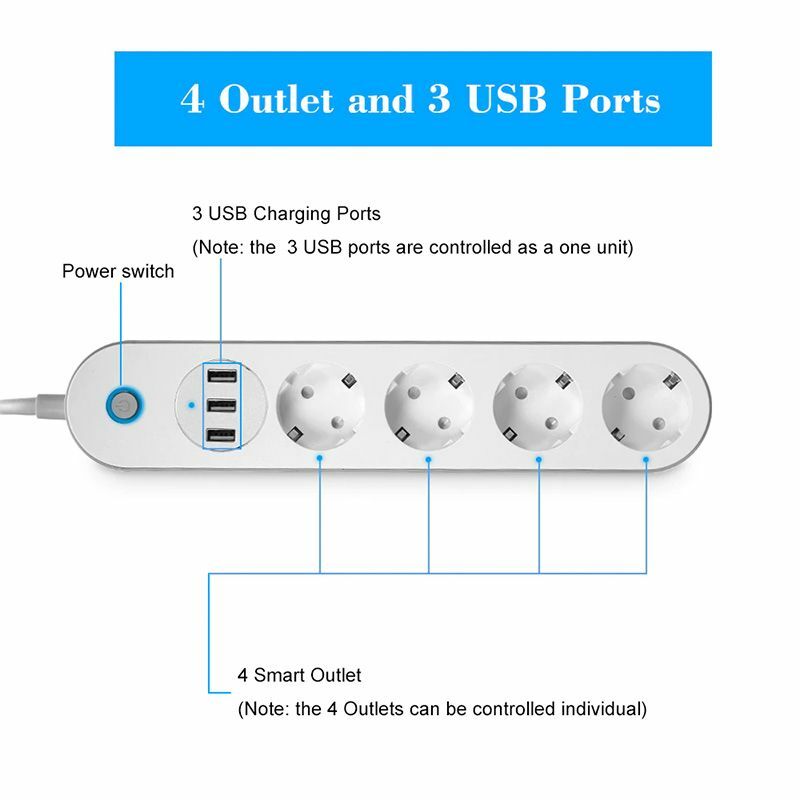 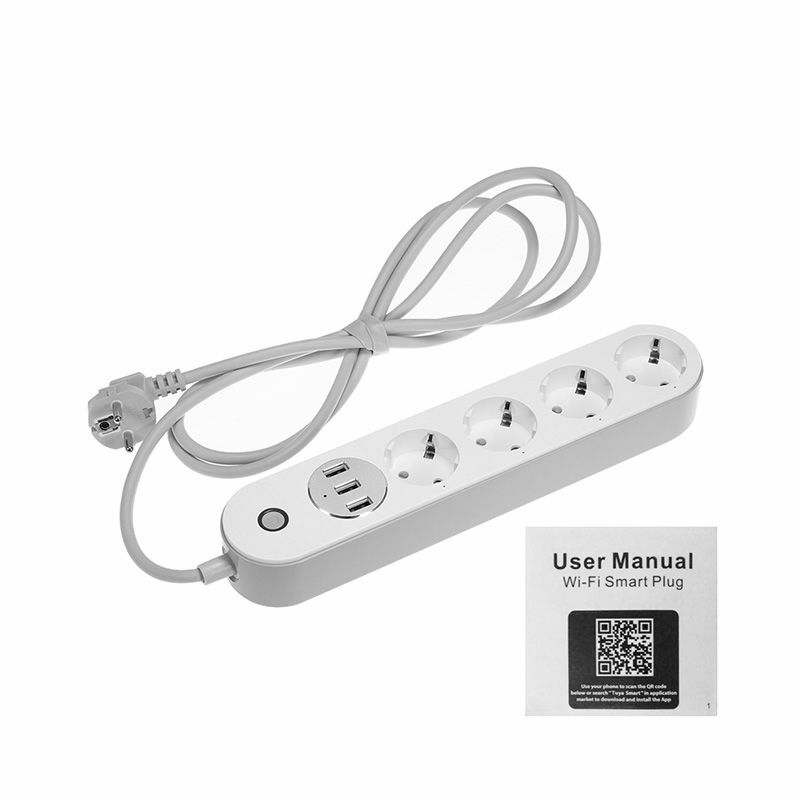 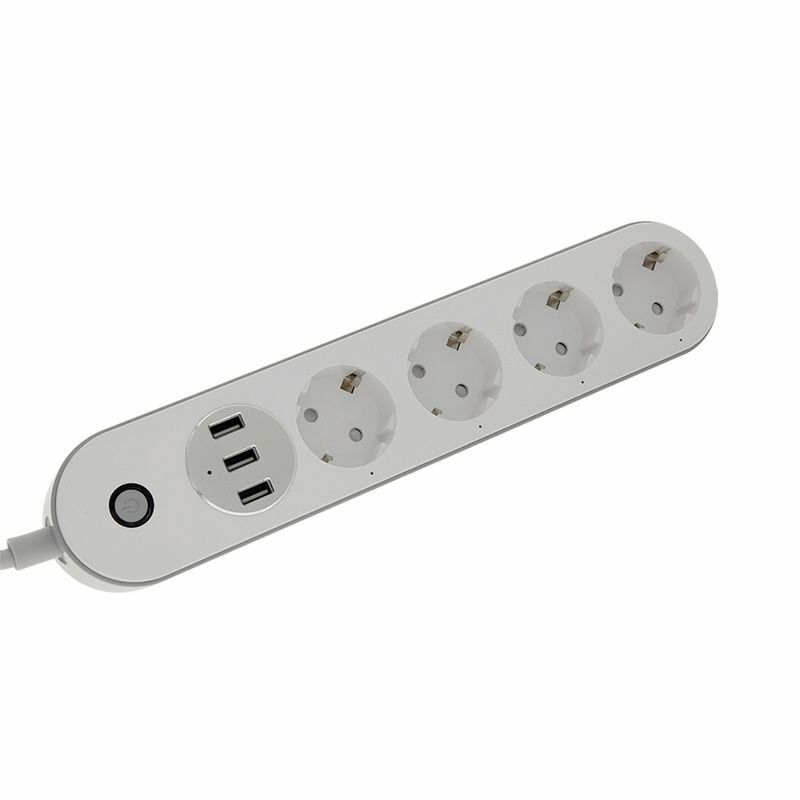 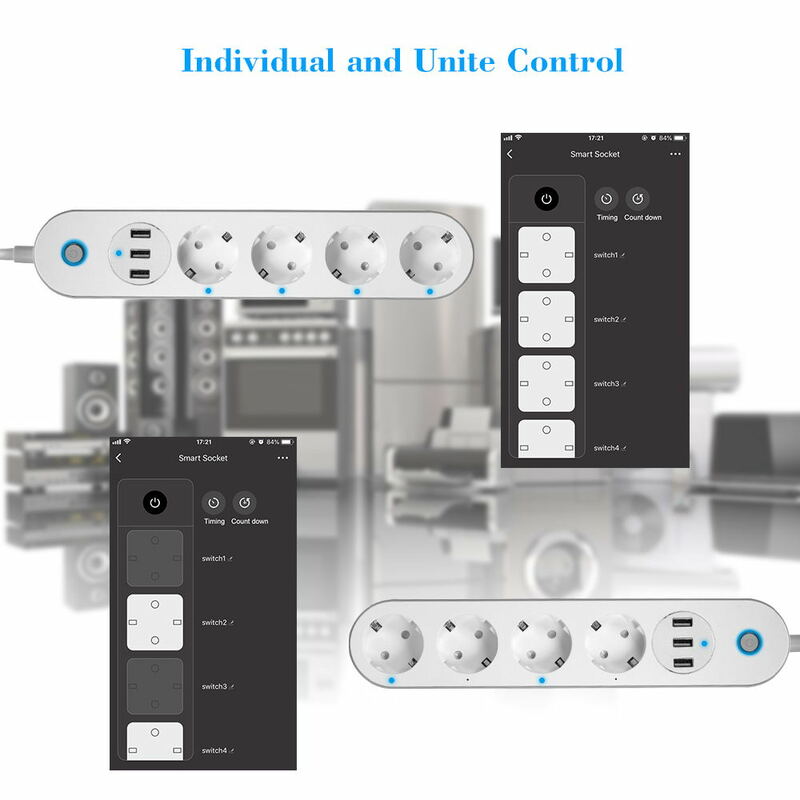 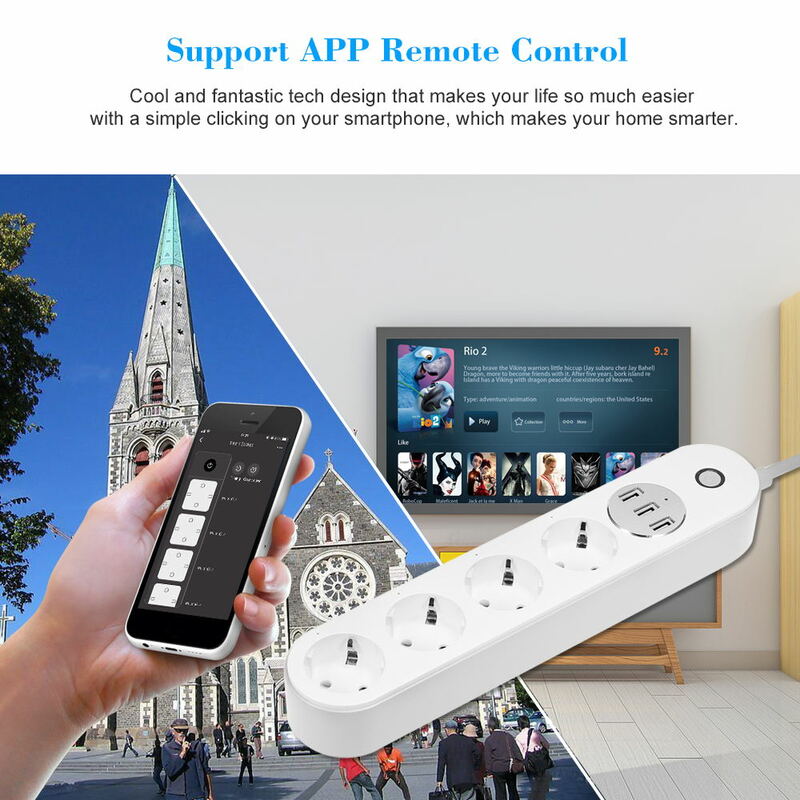 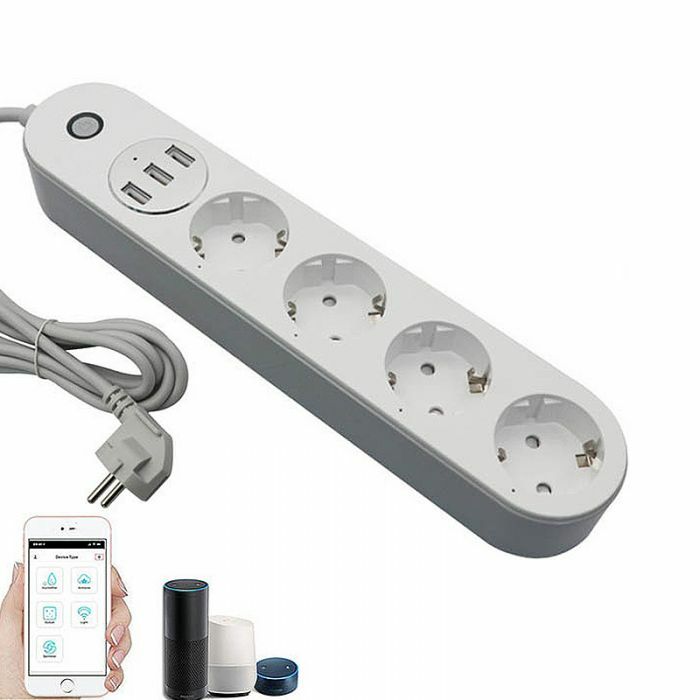 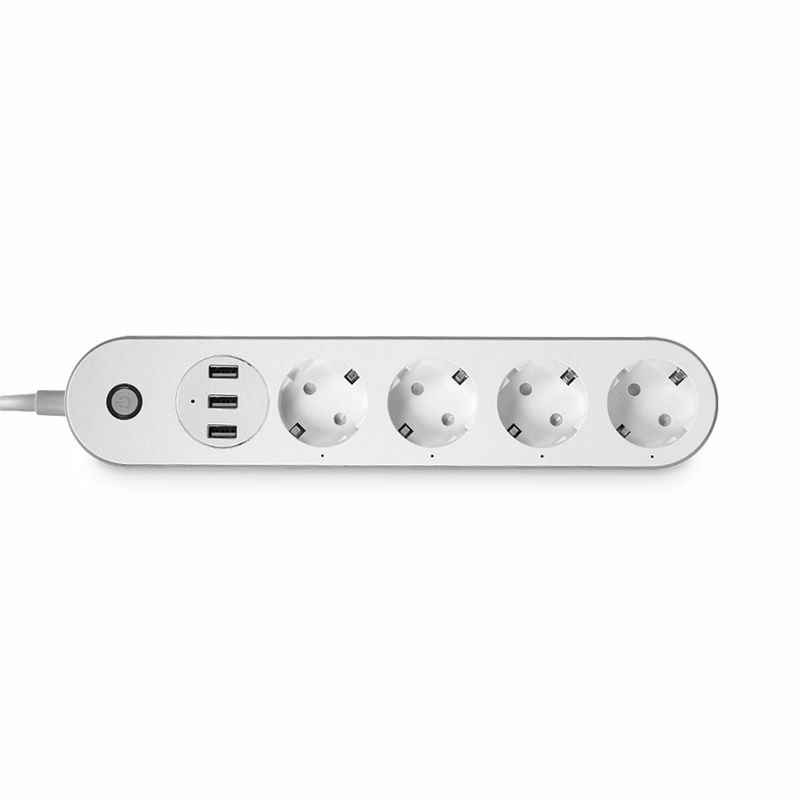 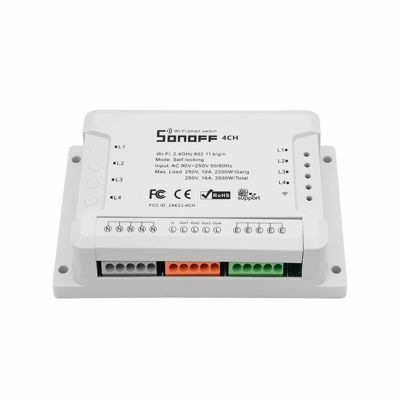 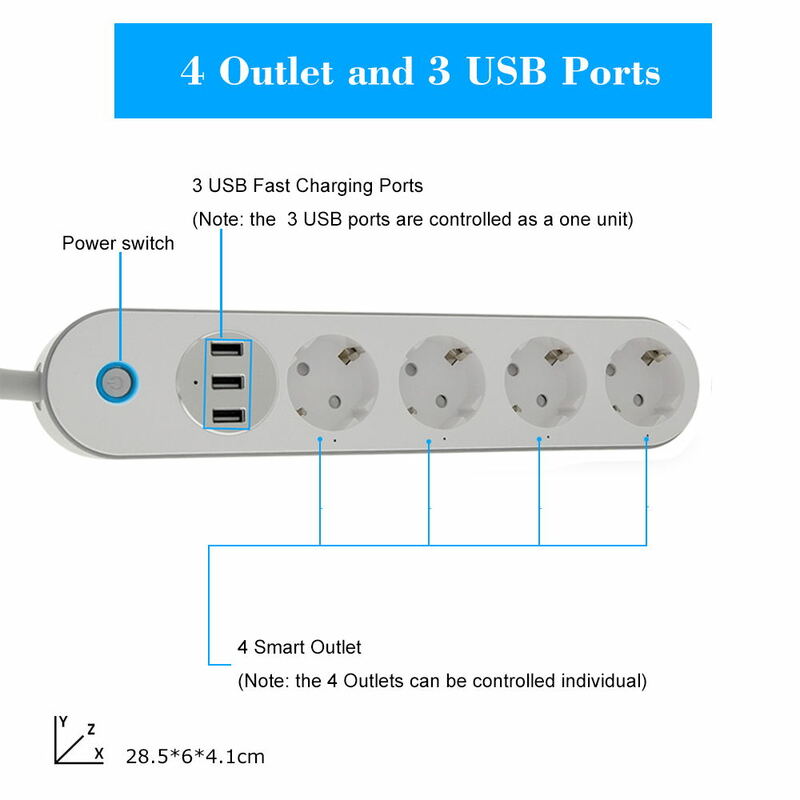 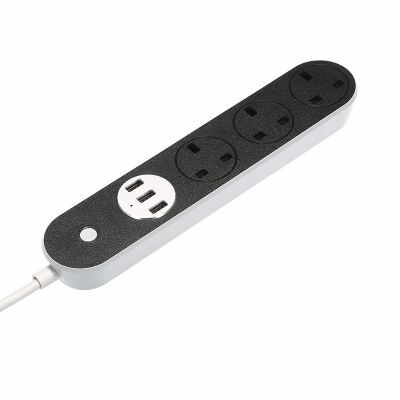 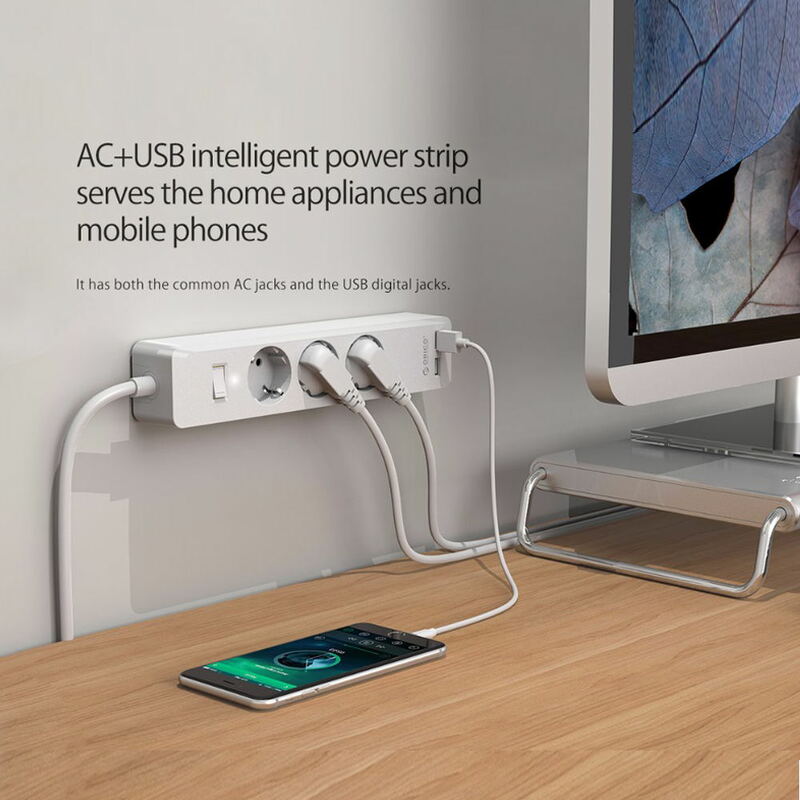 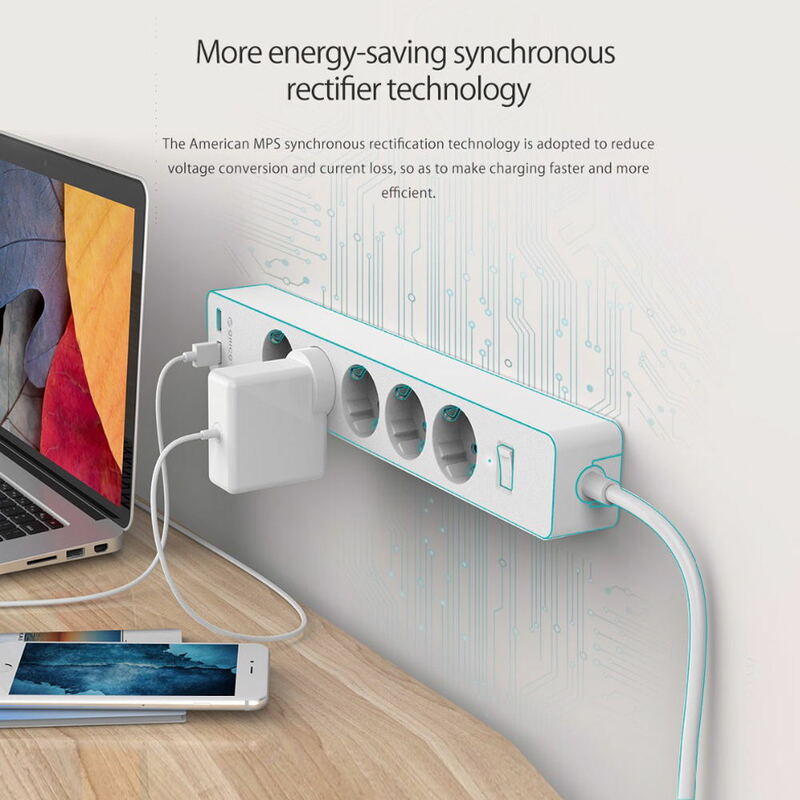 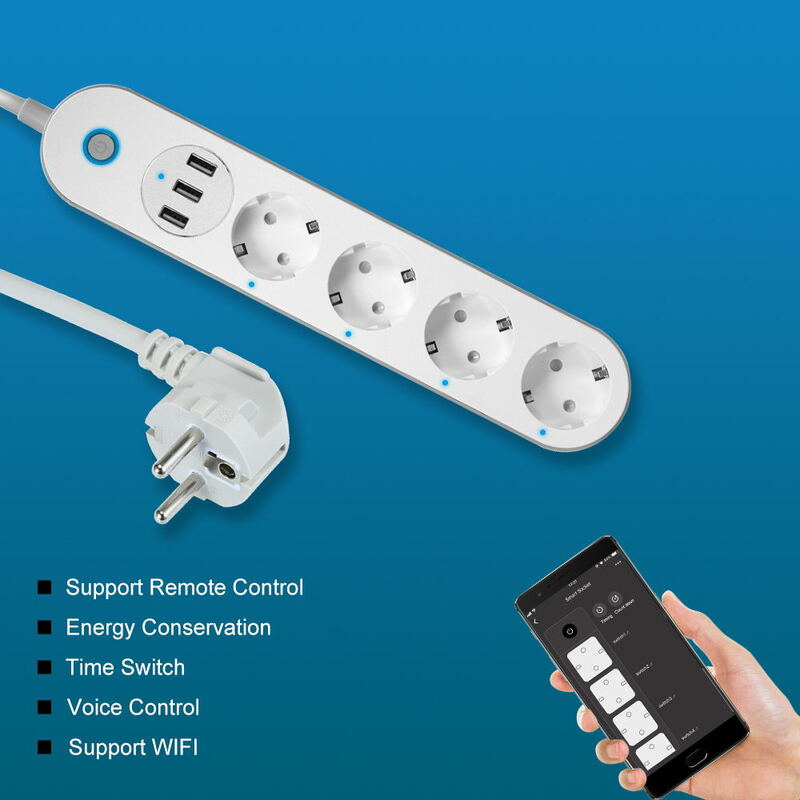 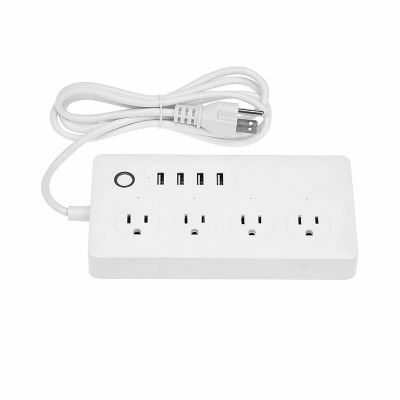 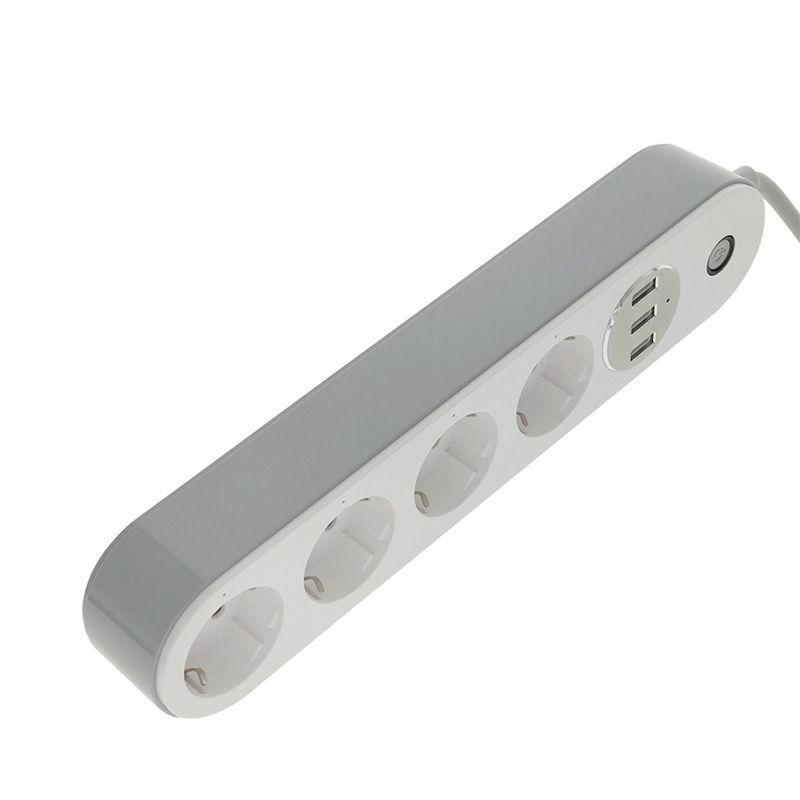 The SA-P402A WiFi Smart Power Strip Socket with 4 AC Outlets is a smart power strip with USB ports that allows you to effortlessly control your home appliances with a smartphone or through a voice assistant like Amazon Echo and Google Home. 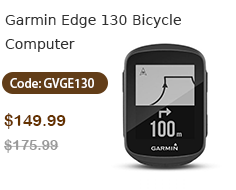 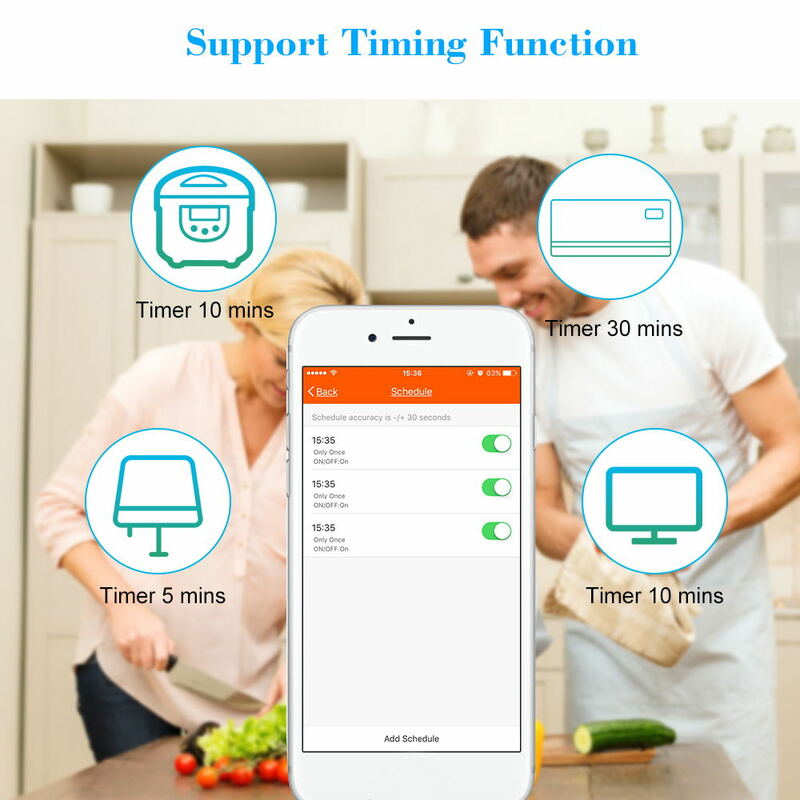 Timer function available. 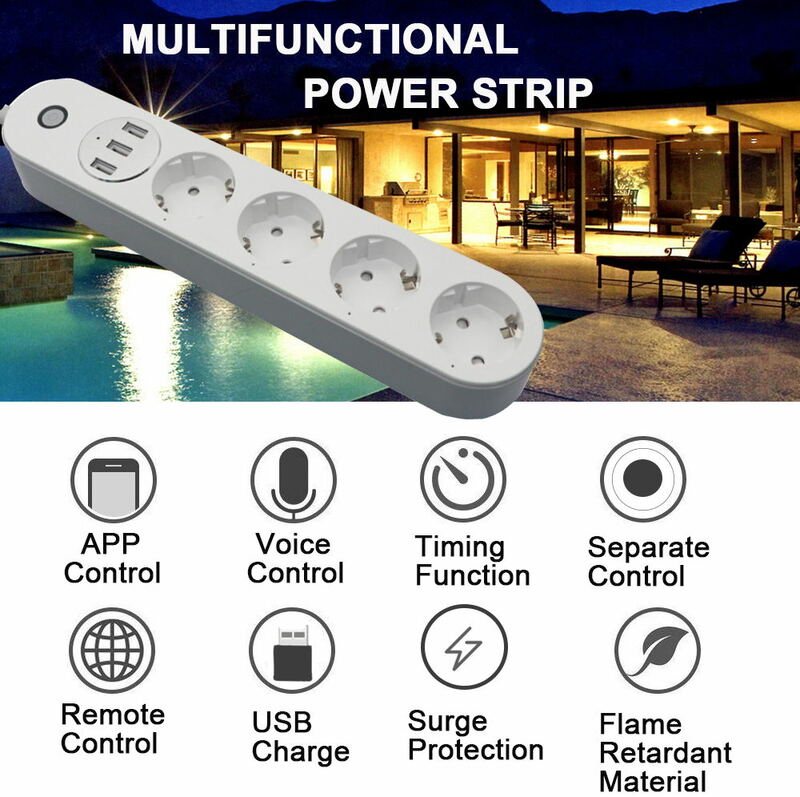 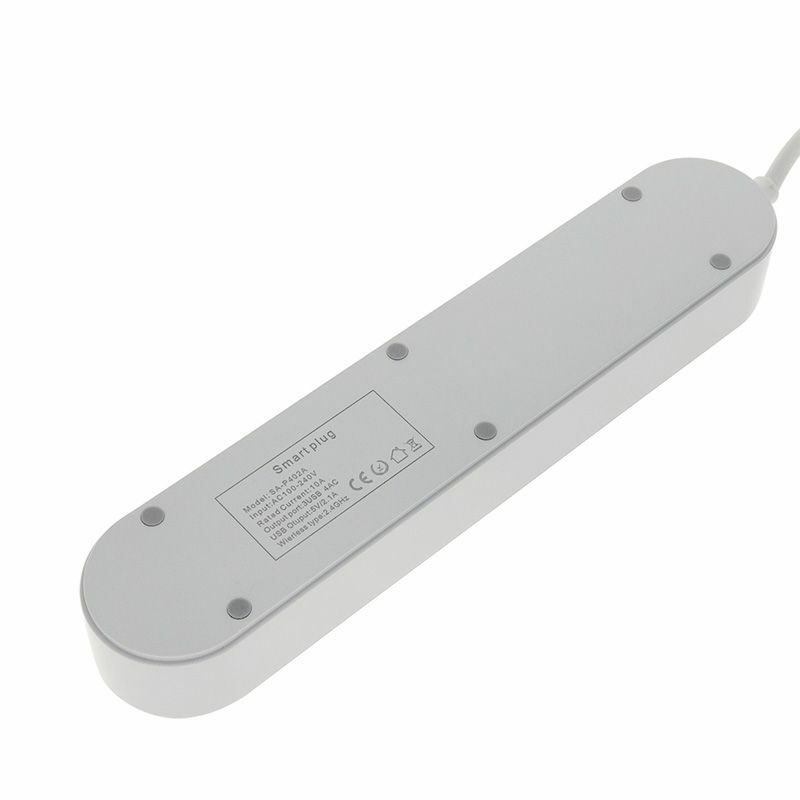 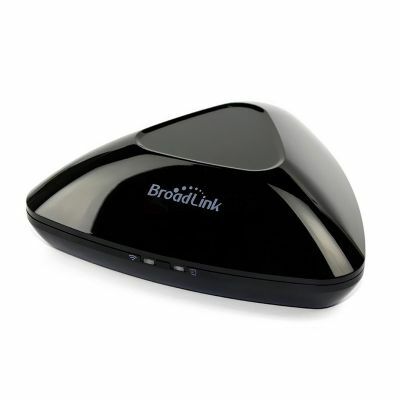 Simply schedule the strip via the free "Smart Life" from your smartphone to automatically turn on / off your appliances, helping cut down on your electric bills significantly. 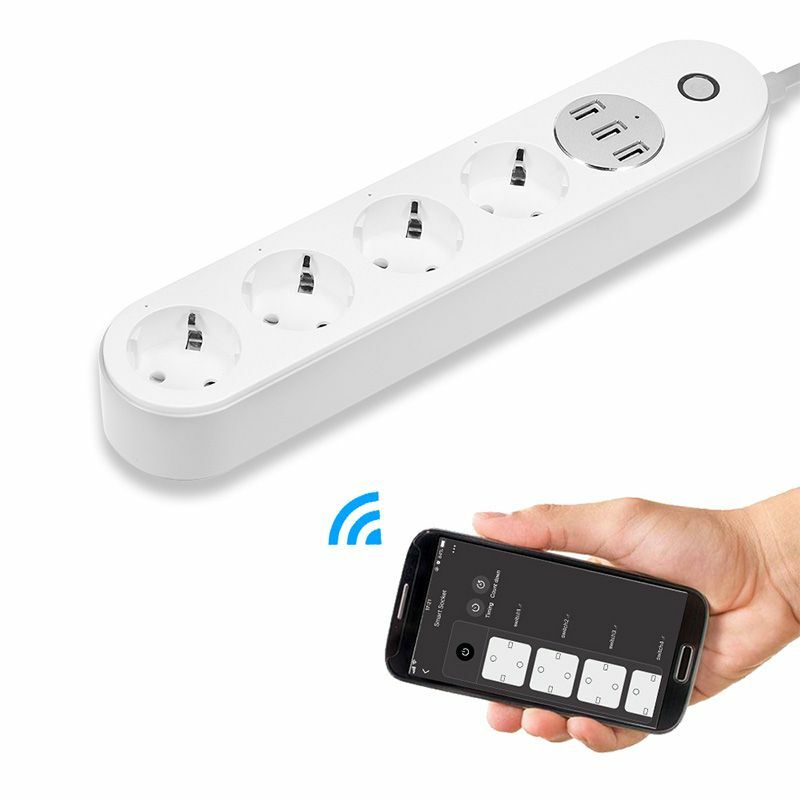 Cool and fantastic tech design that makes your life so much easier with a simple clicking on your smartphone, which makes your home smarter. 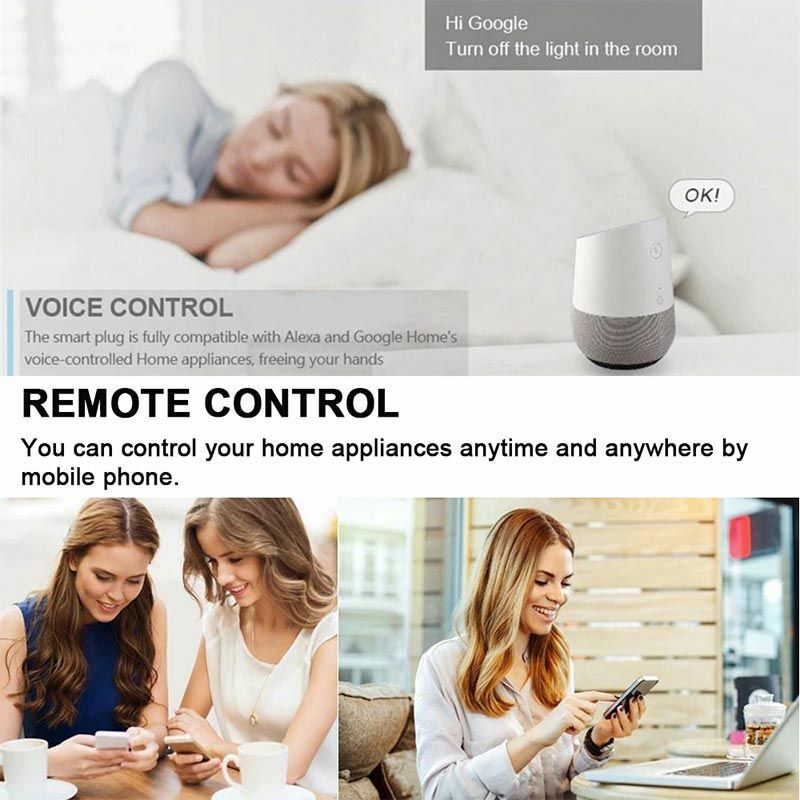 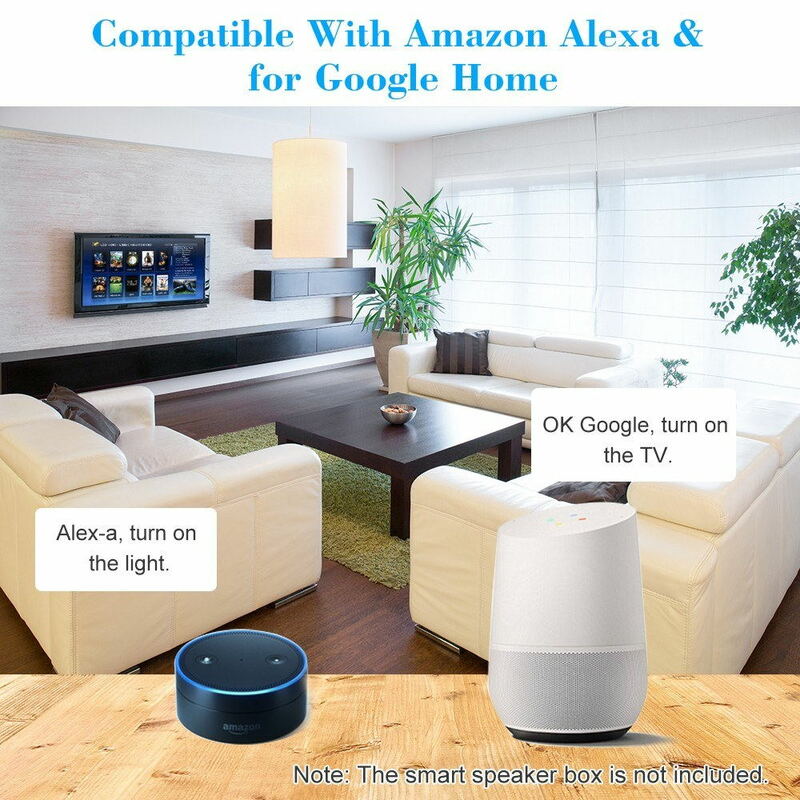 Voice control compatible with "Amazon" Alexa, Echo Dot & Google Home/Nest IFTTT, you can turn your lamps, coffee makers, fans and other appliances on/off just using your voice, very convenient, free your hands. 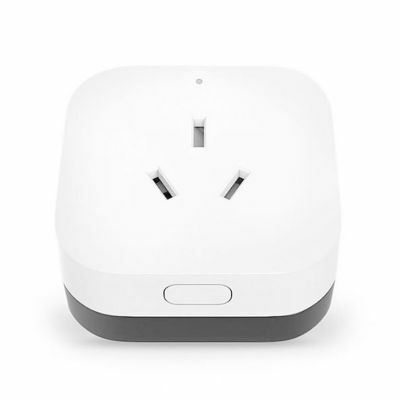 You can set timers to turn on/off your electronics. 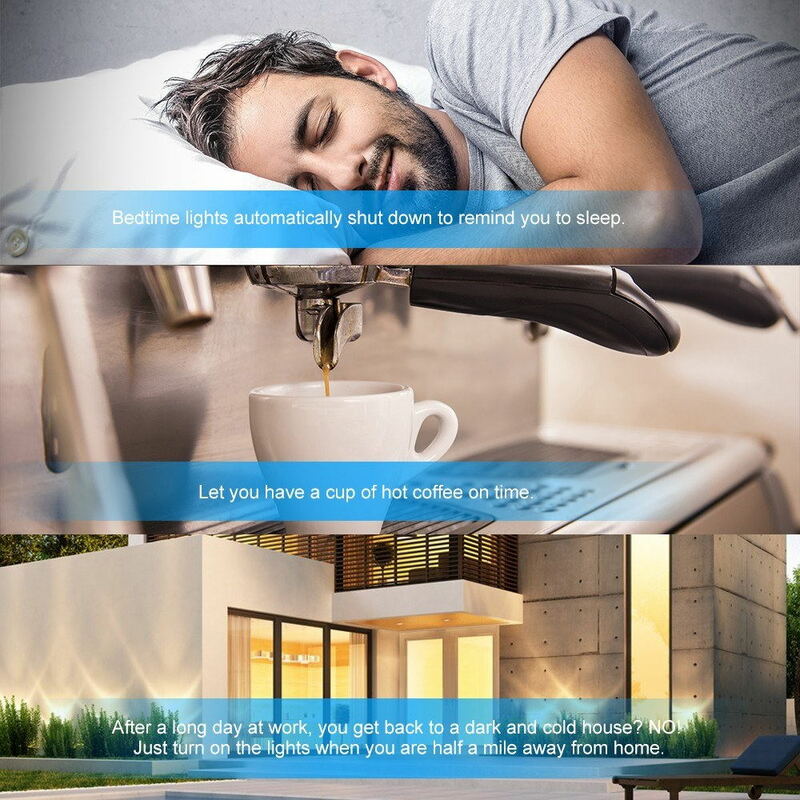 You will never come back to a dark and cold home, you can even randomize your light's operate while away from home and make it look like somebody is home. 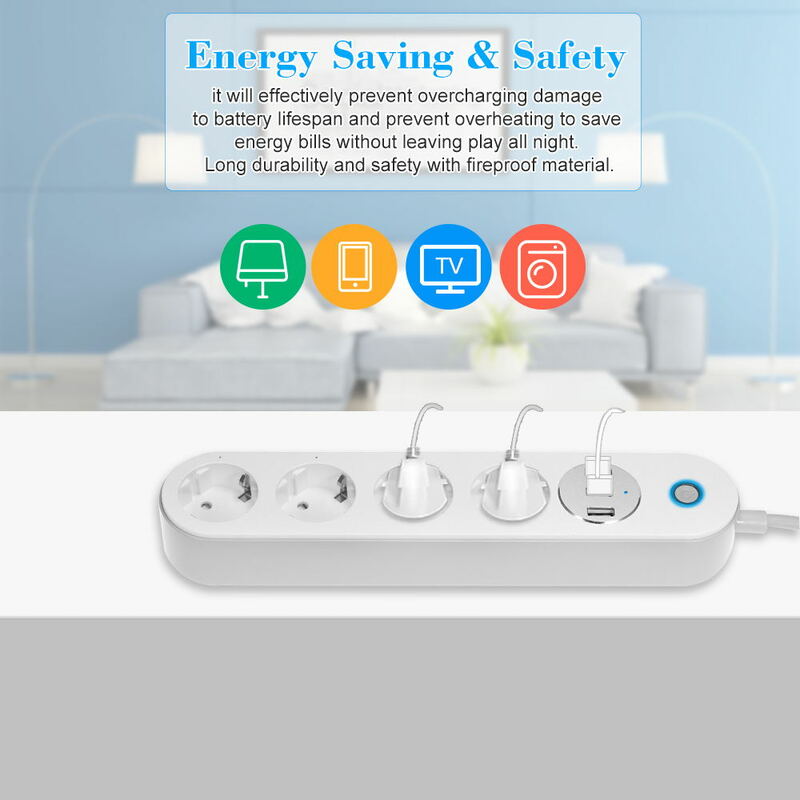 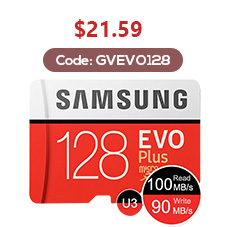 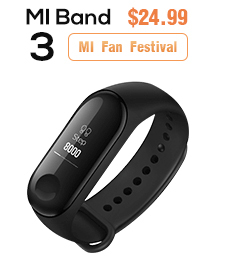 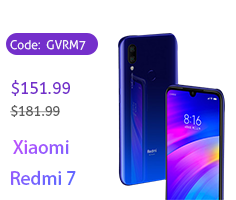 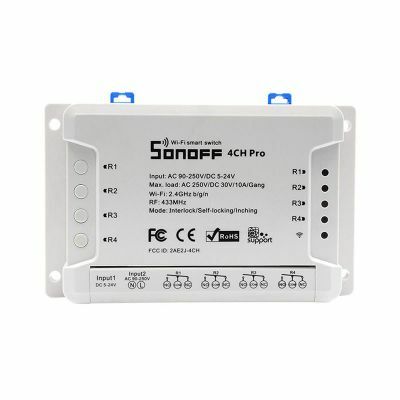 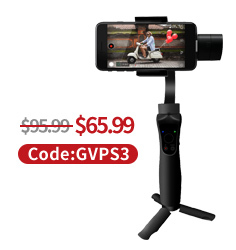 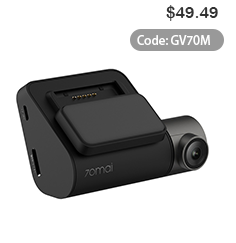 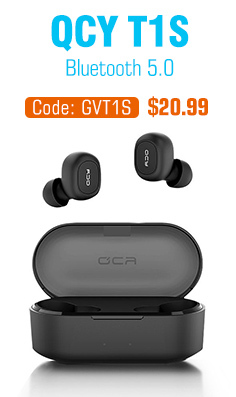 It will effectively prevent overcharging damage to battery lifespan and prevent overheating to save energy bills, without leaving electronics play all night. 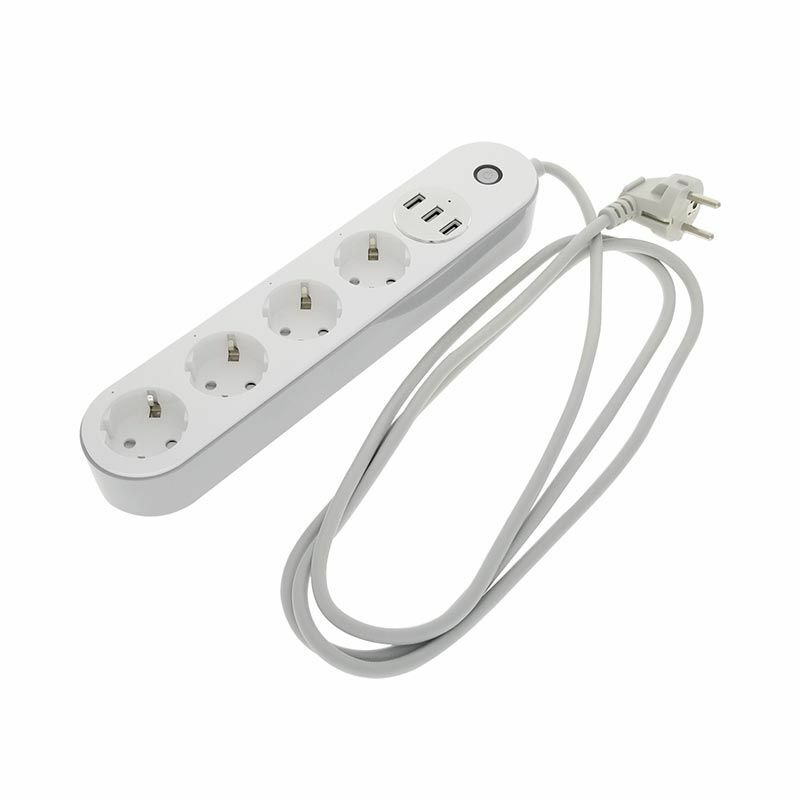 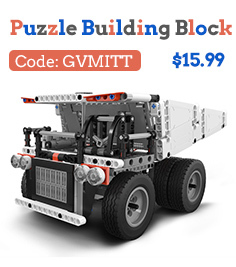 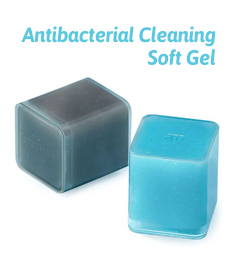 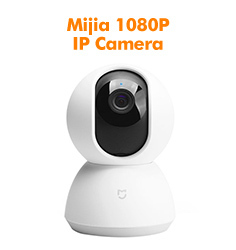 With durability and safety fireproof material.